Hello my lovelies! It's the first Monday in September, which means it's time to pull those fall clothes out of the closet. 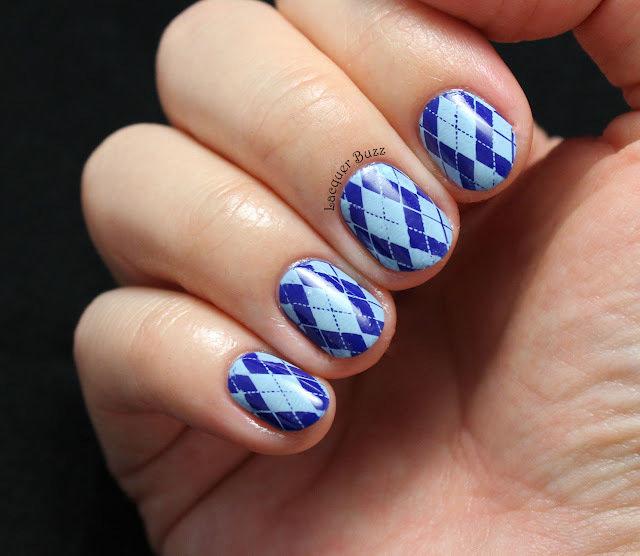 It's still pretty warm where I live though, so sweater weather has not arrived yet, but I have done a sweater pattern on my nails instead. Today has been a really long and busy day for me. It's also pretty late as I'm writing this and my energy level is very low, so I'll keep it short and sweet. So what we have here is a very simple stamping manicure using two colors I love and an argyle pattern. 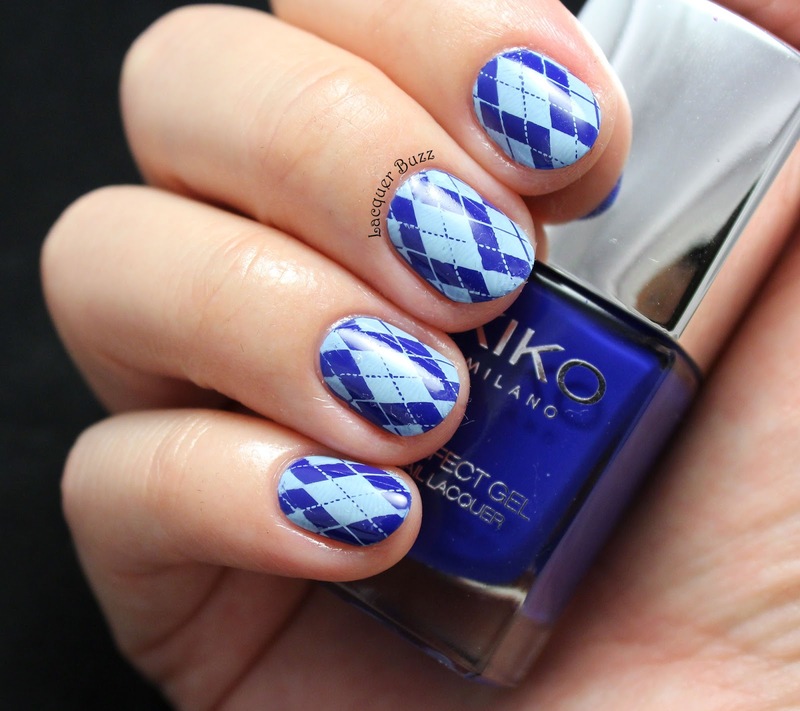 The base polish is Kiko 680 Blue from the Prefect Gel collection. 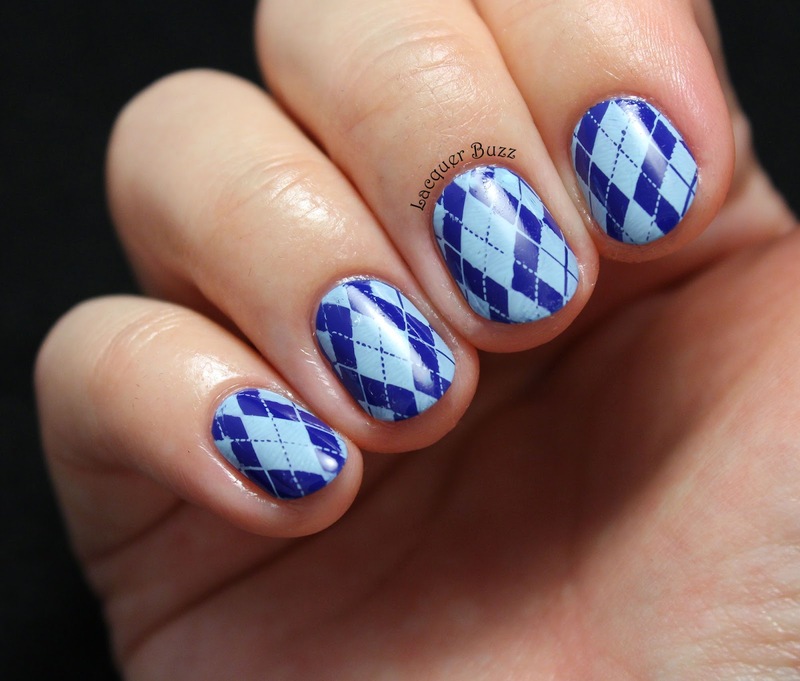 It's a gorgeous cobalt blue creme that goes on easily in two coats and dries very glossy. I think it's perfect for any season because it's bright and rich, so you can't go wrong with such a color. Plus the formula is great. 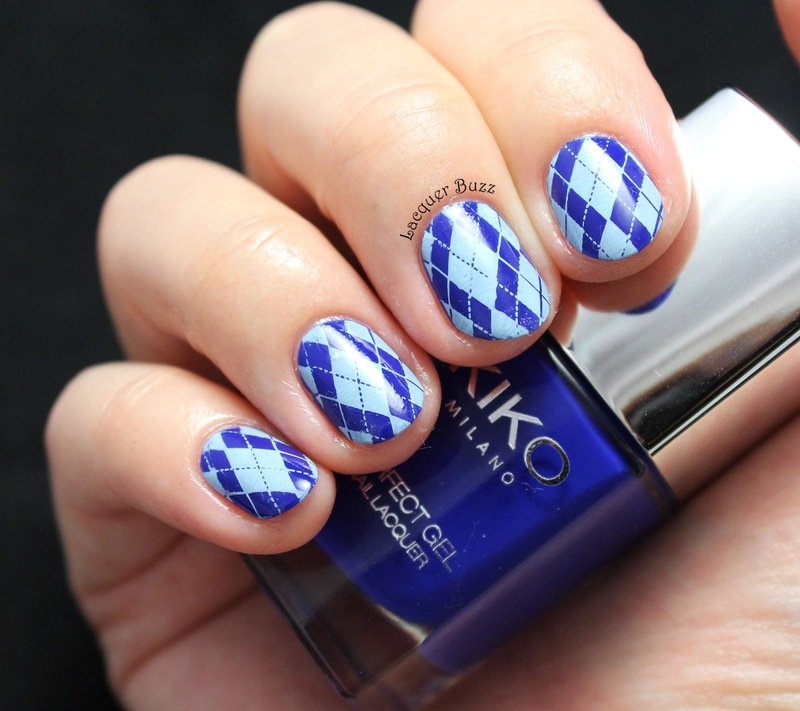 On top of the Kiko polish I stamped an argyle pattern from Moyra stamping plate 02 Fabric Texture. I used the Born Pretty stamping polish called Light Blue or number 9. I really like how well this works even though it's such a light color and I think it looks gorgeous. I've been feeling bad about my nails for the whole week because they've been breaking a lot. I finally filed them down and created this manicure that makes me feel a lot better. Hopefully my nails will recover soon. Until then, you can see some more beautiful manicures by clicking the links below!